100% новый, запечатаный в коробке Sony Vaio ноутбук! В комплекте идет Docking Station! Почему бы не купить его Минимум на $300-$600 дешевле оптовой московской цены!!! Intel Pentium M 750 1.86 GHz процессор (Centrino®). Intel 900GM 128MB видео карта. It's about building solutions for your business that really works for you. A thoroughly customizable approach to the technology and the hardware that power your team. It's Sony's unique and modular approach to information technology. In today's competitive business landscape, AdaptivePlus Technology is that extra edge, complementing the talents of your team with the support of leading-edge technology and the flexibility to use it in whatever way serves you best, with swappable, sharable components and intelligent integration that make smart technology resource management a visible factor on your bottom line. Flexibility. Mobility. Security. Communication. 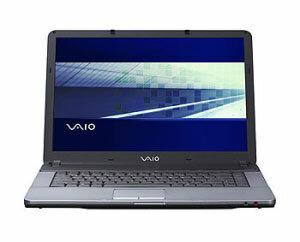 The VAIO BX567B notebook places them at a premium. Just like you do.